As a member of that club I feel great empathy for you. 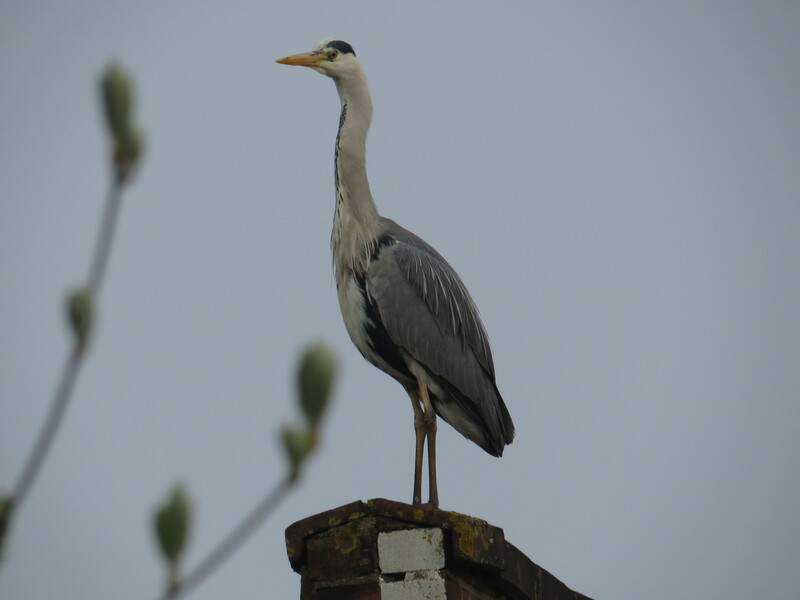 As one who enjoys birds, I am in awe of the photographs you have taken and your wonderful description of the Grey Heron. Beautiful Vivienne. I clearly remember those feelings of being in that club when my dad died and seeing families with dads everywhere. It didn’t feel quite so raw when my mother died, I’m not sure why, but it is strange and lonely to not be part of something that the majority of people are celebrating. 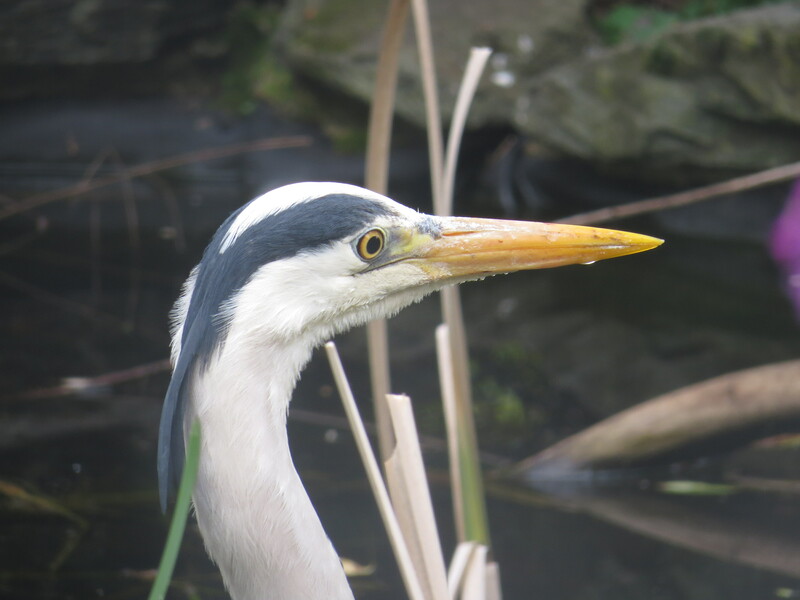 We have a heron that often appears in the dene nearby and I’m thrilled each time I see him, but I’m glad you intervened for the poor frogs on that particular day! 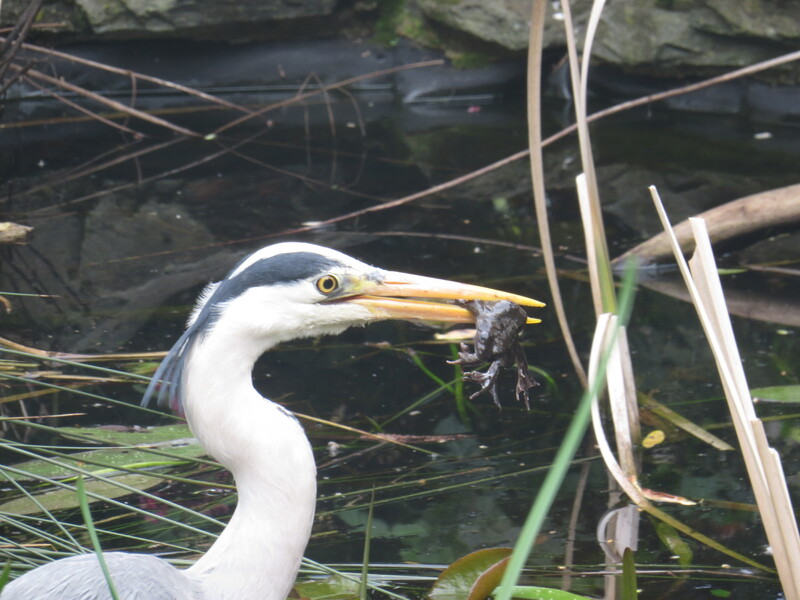 Thanks, Andrea….when I came home I thought that the tadpoles had failed too for the first time ever, but today I discovered a seething mass of them, so hopefully frogs will continue in the pond. I haven’t seen a single adult though. 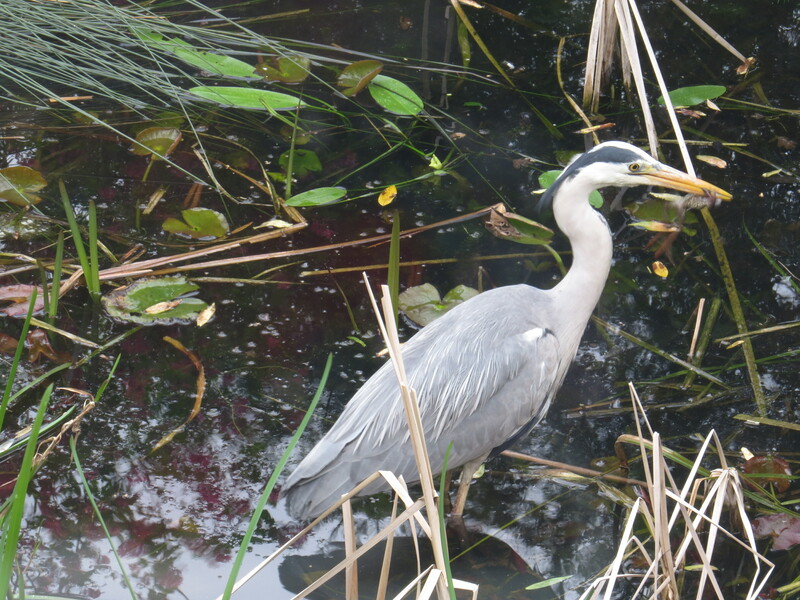 The heron must have been having a right old time while I was in Canada…. A superb post, with excellent photos. Thank you. Thank you, Rosni3, much appreciated! Must have been a tough day for you as Mother’s Day ephemera was everywhere. I am always interested in hearing about your dad, as my my mum (having moved into a care home a week later) seems to be on a parallel journey. I too have to check myself, and go along with her perceived reality, as to argue would be pointless. We took her out yesterday however and she is just so easy to please nowadays so a real joy. Babies and children fascinate her and we always have to stop and talk to them – Fortunately their parents recognise her condition and indulge her. Hope your dad’s 40 day boat trip is a successful one! I will try to take Dad out more often now that spring is here, but even though he’s lost weight he’s a bit of a hefty push in the wheelchair and I have a dodgy back. And yes, Dad is really easy to please too. I brought him in some polo mints and some dairy milk chocolate and he couldn’t have been more delighted. 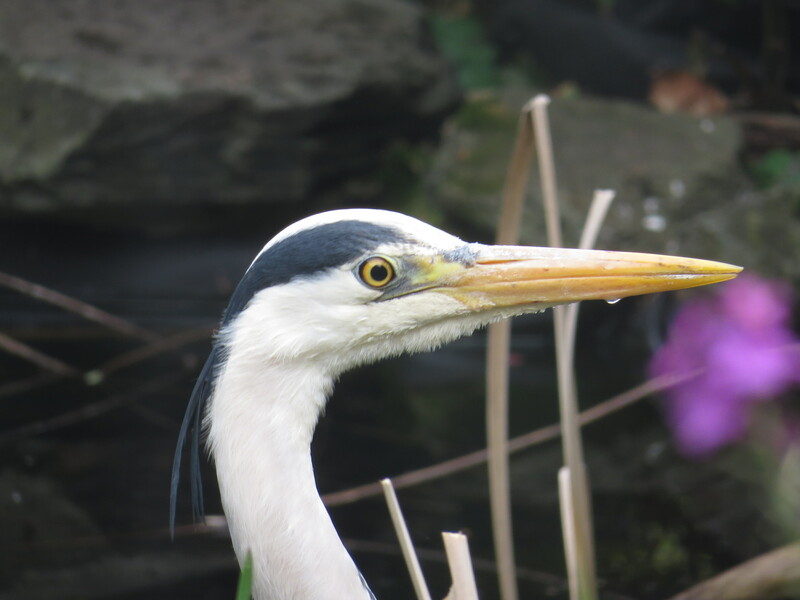 Sorry meant to mention the heron too – lovely pictures and description. 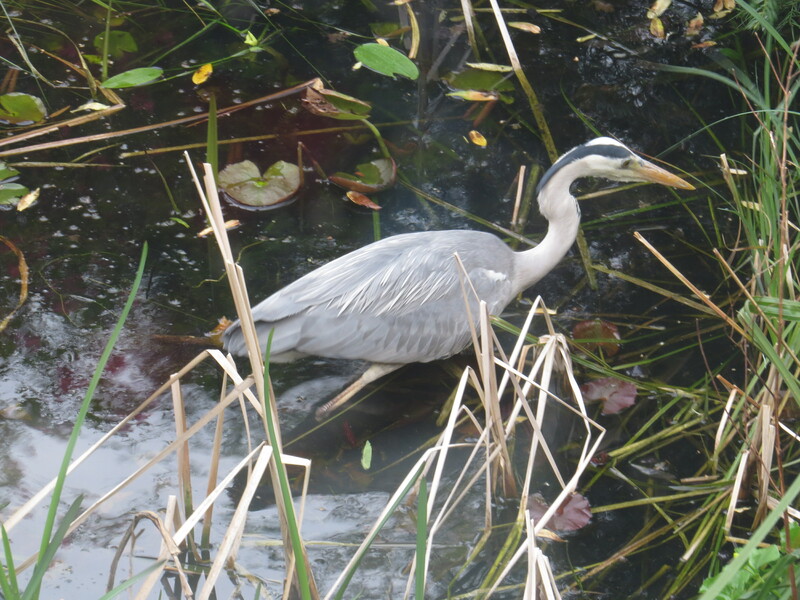 Ironically only yesterday we spotted one next to a piece of flood water on our local golf course – an amazing looking bird. Thank you, Laurin, much appreciated! I can imagine that as a child you don’t have all the preconceptions about how an adult ‘should’ behave, and so it’s easier to join them wherever they are. I remember playing cards with my Auntie Mary, who had learning disabilities, and having a wonderful time.